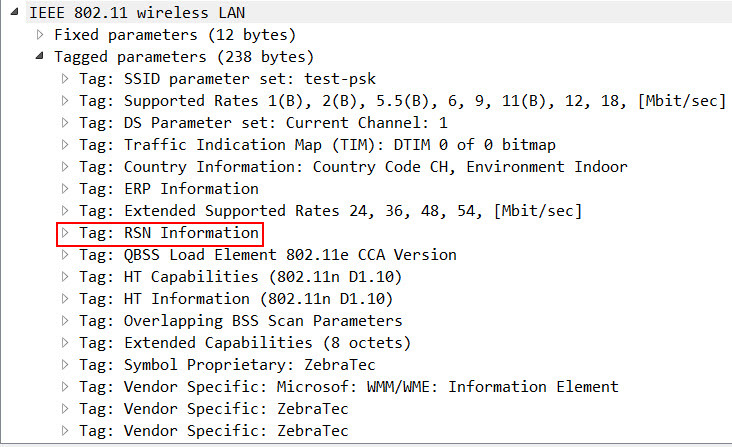 In this blogpost, I’d like to show you how a single SSID with both 802.1X & PSK enabled looks like, what the use-cases for this constellation are, and what could go wrong when you decide to implement it. Warning in advance: Use this option with caution – there are some pitfalls! After Open System Authentication and Association, the 3rd step initiates the WPA2 authentication process, based on the authentitation configured (PSK or 802.1X). Hint: When there is no security enabled (“None“), which is fairly common in guest networks, no further authentication takes place (maybe a captive portal, but this is no “real” authentication). NOTE—Selector values 00-0F-AC:1 and 00-0F-AC:2 can simultaneously be enabled by an Authenticator. 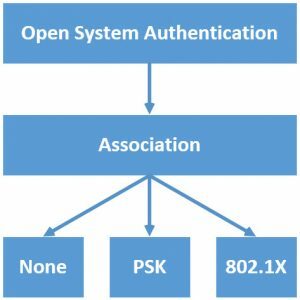 To avoid adding a new/different SSID to your environment when you want to migrate your existing SSID from PSK to 802.1X, you can enable both authentication methods on the same SSID. The hybrid-situation would only be temporary, until every client is reconfigured (either via GPOs or manually). After the migration, you can disable PSK, and it would run as a “pure” 802.1X. We were interested in using this as an option to onboard MDM/BYOD-Devices. Users could then connect their devices to the WiFi by entering a PSK, and their device would end up in a VLAN with restricted access to only our MDM/BYOD-Solution, where they could onboard themselves. During onboarding, they would get a user-certificate and the WiFi-Profile would get overridden to 802.1X. After disabling and enabling the WiFi, the device would reauthenticate, but this time via EAP-TLS, and thanks to Dynamic VLAN Assignment, they would end up in the appropriate VLAN. By enabling both 802.1X & PSK on the same SSID, you give every Client STA 2 options to connect to the WiFi. Well, this doesn’t sound so bad, right? But the problem lies underneath that… The coder of every operating system wants to make everything as simple as possible for end users. So when you click on a new SSID, you don’t have to decide wether you would like to connect to a “WPA Personal”, “WPA2 Personal”, “WPA Enterprise” or “WPA2 Enterprise” network – you automatically get the appropriate prompt to enter your Passphrase or Username/Password. This all happens based on the content in the RSN Information Element from within the Beacon or Probe Response Frames. But now there are 2 different options in this element – which means that depending on the decision the Client STA makes, you either get a PSK-Prompt or a Username/Password-Prompt. The workaround for this would be to instruct the users to not click on the WiFi, but rather manually create a new WiFi-Profile on their device on their own with the appropriate settings, which is very complicated for the people that are not really tech-savvy. 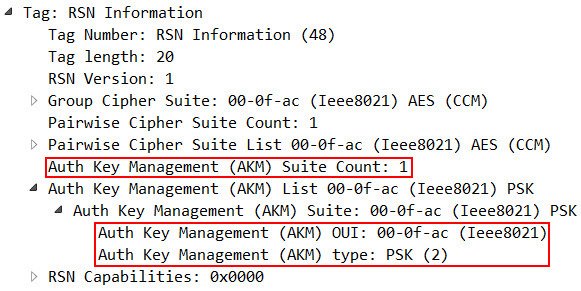 After all the tests I did, I have to say, that I would not recommend to enable both 802.1X and PSK on the same SSID in a live-environment – simply because you do not really have control over the end-systems and their behaviour.